This event is sold out, thank you!! Join us for Brews of the Rockies with MAP Brewing Company! Explore the challenges and triumphs of the brewers in the Rocky Mountain region from New Mexico to Arizona to Montana and Alberta. Climate, access to ingredients and the wild fluctuations in population are all part of the story of acquiring a cold one in early days of living in the Rockies. Local Beer, Free History: Now in its fifth year, MOR’s Hops & History program supports the museum’s Living History Farm. Every month during the summer season, Hops & History brings a lively audience of adults to the farm by pairing the Gallatin Valley’s brewing past with beer tastings from local breweries. In 2018, enjoy a refreshing twist on each evening’s lecture. 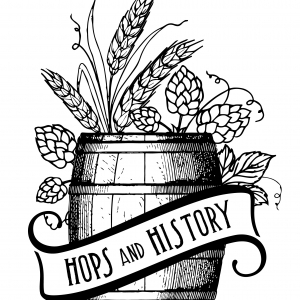 Led by MOR’s Curator of History, Michael Fox, this year’s programs will be filled with brewing history trivia. Mixed into the talks, participants can answer trivia questions to win prizes from the featured brewery of the month. Bring your competitive edge and sense of humor to this year’s exciting program series. Age 21+ only. This is not a family event, adults only, please. Cost: $8 admission plus $2 mug charge for each participant’s first event, reuse your mug each month! These events sell out in advance so purchase your tickets today.